Quaker's popular offer is back! 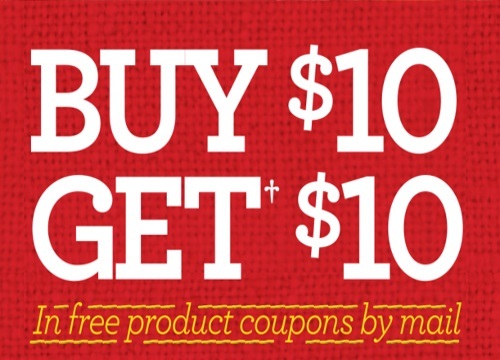 When you buy $10 or more worth in participating Quaker products you can get $10 back in coupons! Products must be purchased between April 13- June 14, 2016 in the same transaction and receipts must be uploaded by June 19, 2016. Allow 4 weeks to receive the coupons.. There is a limit of two offers per address or household. Participating products are as follows: Quaker Oatmeal/Instant Multigrain Hot Cereal (216 g – 430 g), Quaker Hot Cereal Cups (43 g – 75 g), Quaker Oats (709 g – 1 kg), Quaker Baking Mixes (900 g), Quaker Soft Baked Oatmeal Cookies (210 g), Quaker Granola Bars (130 g – 210 g), Quaker Harvest Breakfast Squares (300 g), Quaker cereals (375 g – 600 g) and Captain Crunch cereal (350 g).